Farmers’ markets are a great way to get fresh, healthy food while supporting your local farmers directly. We have some great markets in Tucson (various markets run by the food bank and the Heirloom Farmer’s Market, to name a few) and compared to other states, we have plenty of room for future growth. But a farmers’ market is different from the grocery store and even veteran shoppers could use a tip. Leadership Council member and director of Baja Arizona Sustainable Agriculture, Meghan Mix, explains how to best take advantage of your local markets in this post. 1. Know Your Seasons. If you know which fruits & vegetables grow in your bioregion each season, planning your purchases will be much easier. Many markets offer lists of what is fresh throughout the year. Talk to the vendors about what will be ripening in the next couple of weeks so you can plan ahead. 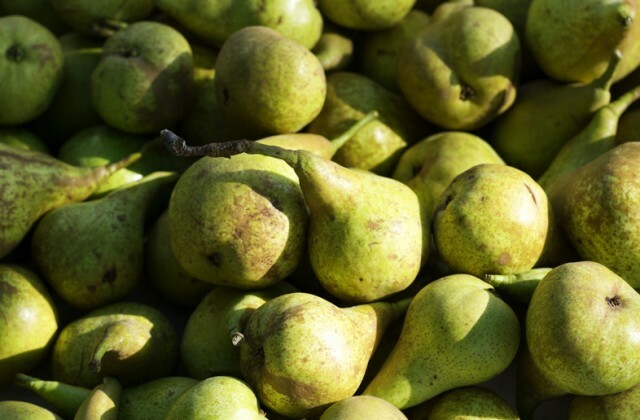 One of the joys of eating locally is anticipating the availability of delicious seasonal food! 2. Go Early or Go Late. Visit the market early for the best selection. The most popular goods sell out first. It’s as simple as that. Visit the market late for potential deals and discounts. Some vendors prefer to discount their goods instead of taking them home. 3. Bring Your Own Bags. Most vendors do not provide bags, so bring your own tote with handles. Also bring produce bags to help organize your purchases. You can even reuse plastic food containers to transport delicate items (such as berries or tomatoes). And if you don’t expect to head directly home after the market, bring a cooler with ice packs to help keep your veggies fresh. 4. Bring Cash. Cash is the main currency at a farmers market, although some vendors may accept credit cards or checks. Paying with small bills or exact change will make purchasing easier and faster. Some markets can even run your credit card in exchange for tokens that you can use in place of cash. Ask at the info booth. Also be aware that many farmers markets accept WIC vouchers or food stamps. Again, ask at the info booth. 5. Do a Loop. Walk around the market at least once before making any purchases. See what is available, which vendor’s produce looks (and tastes!) the best, or if there are any deals. Make a mental shopping list. After your reconnaissance mission, circle back and make your purchases. And remember: only buy what you will be able to eat in a week or before the next market. 6. Ask Questions & Develop Relationships. Be prepared to spend some time at the market. Ask vendors about unfamiliar foods and how to prepare them. Find out if a vendor specializes in a specific product or what his/her growing methods are. Personal relationships put you closer to the food you are consuming and can sometimes get you tips about upcoming specialty items or occasionally even a freebee or discount. 7. Bargains & Bargaining. Bargains are generally few and far between at a farmers market, and produce is often more expensive than the grocery store. Most vendors are not producing on a large scale or receiving subsidies that help lower prices. At a farmers market, you pay for fresher, more nutritious, and more flavorful foods that support the local economy. What you get doesn’t compare to what is sold at a supermarket. Also don’t expect to bargain; prices are almost always fixed. To lower your cash output, be sure to use all parts of the veggies you buy, ask if any “seconds” are available, and buy in bulk. 8. Don’t Expect Perfection. Much of the produce sold at the farmers market isn’t blemish-free. Supermarket food is grown for its hardiness and beauty, often at the expense of taste. By comparison, farmers’ market food is cultivated for its flavor and freshness. It may be slightly dirty or misshapen, but the tradeoff is worth it. 9. Be Flexible. If what you are looking for is sold out or not in season, try substituting it with something else. Experiment with new items or varieties. 10. Have Fun. Take your time, relax, and browse. Farmers markets aren’t only about the food – you can connect with friends and listen to live music too. It’s a fun way to shop that helps make your local economy stronger. Who’s your farmer? The Pima County Food Alliance is excited to host a special screening of the thought-provoking documentary about hunger, “A Place At The Table,” by the creators of Food, Inc. The event, which will take place at the University Marriott on September 18 at 7:00 pm, is free and open and to the public. We’d love for you to come! Tucson is one of only a handful of communities selected to air this film as part of a larger strategy by the filmmakers to build the food movement. It’s not just another film to watch and shrug off, it’s an opportunity to get involved in the fight to end hunger. Our event in Tucson is particularly exciting in that it will be the main public feature of a larger conference about hunger being hosted by the Community Food Bank. The film takes an eye-opening look at hunger and obesity in America, and tells the story of how we had these problems mostly solved before things took a turn for the worse in the ’70s and ’80s. Today, Arizona suffers from the highest rate of food insecurity in the country (29%) and national childhood obesity rates have tripled over the last 30 years, such that in 2010 more than 33% of children and adolescents were considered overweight or obese. The film will be immediately followed by a panel discussion to discuss some of the key issues. For instance, what do we make of the claim that hunger and obesity are two sides of the coin? If they’re connected, what does this mean for the traditional anti-hunger lobby? How can we, as ordinary citizens, contribute to the creation of a food system that promotes individual and societal health? Can we make changes on a grassroots level, or do we need large-scale policy changes? The PCFA is a developing, grassroots food policy group with the intention of influencing local agencies to support policies and activities that positively affect the local food movement. Part of that entails educating ourselves and our members on pertinent issues surrounding the growing of food. A key part of growing food is water, and Arizona has an extensive political history on the issue, which dates back even before statehood. In the ensuing years, the state of Arizona has developed complex water laws and frameworks that encompass federal, state, municipal, and tribal water works that today shape our ways of life, our population, environment, and our food systems. It is this intersection between water and our food system that interests us most. What is the future of our food system given the limited nature of our water? Where will, or should, both our water and food come from? Arizona has a long history of agriculture, much of it dependent on groundwater. However, over the last two decades, Arizona has depended on another water source: the Colorado River. Last May, Tucson Mayor and Council approved a water rate increased proposed by Tucson Water, which goes into effect 2014. This water rate increase is due to multiple factors, including infrastructure upgrades, technology applications, and increases in Colorado River water rates. Understanding the Colorado River is critical to understanding water in our region, so this is where we’ll take our first stop on today’s educational tour. The Colorado River Compact of 1922—also called “The Law of the River”—appropriated water to seven Western states and today serves over 30 million people within the upper and lower basins; this compact began the comprehensive development and management of the Colorado River formally. It was originally projected to provide 18 million acre feet annually (one acre foot is the equivalent of 326,000 gallons of water) but history has shown that the river actually provides an average of 15 million acre feet annually. This fluctuates significantly with lows of 5 million and highs of 20 million acre feet during past years. The Central Arizona Project (CAP) aimed to provide central and southern Arizona access to its allocation of Colorado River water. Approved in 1968, construction on the project began in 1973 and, through the creation of various dams, aqueducts, and even boreholes through mountains, CAP today conveys water stored at Lake Havasu to the Tucson area and many users along the way. The project took over two decades to complete and cost $3.6 billion. No small thing! As part of an effort to manage and repay the cost of constructing it, the state legislature created the Central Arizona Water Conservation District (CAWCD) in 1971. 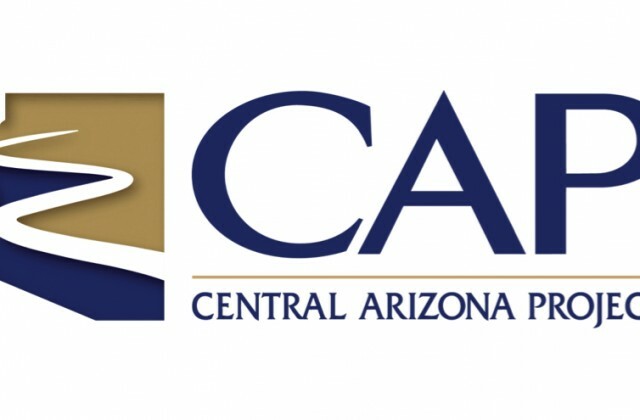 CAWCD provides water for Pima, Maricopa and Pinal counties and is responsible for establishing policies, levying taxes, setting water rates, approving budgets, and addressing other critical issues pertaining to the Colorado River (www.cap-az.com). Of the $3.6 billion it took to construct CAP, an estimated $1.65 billion will be repaid to the federal government over 50 years; repayment began in 1993. The customers of CAWCD water fall into 3 categories: municipal and industrial, agricultural, and Indian. Today, 27% is delivered to municipal and industrial users, 25% is delivered to agriculture users, and 21% is delivered to Indian communities. The other 27% goes to the Recharge Program; recharge is a process that will be addressed in another post, but plays an important role in “replenishing” ground water. For 15 years, Arizona has been in a state of drought, which climatologists expect to continue, causing further water shortages for the lower basin states (Arizona, Nevada, California). The Colorado River’s variable flow and over allocation threaten current water demands. To accommodate the population’s needs, Lake Mead, Lake Powell, and Lake Pleasant serve as water banks and have been able to buffer for the shortages thus far. It is estimated that the river is over allocated by 20%, and a 100-year study of the river’s natural flow shows a downtrend of flow for 80 years. Over allocation, drought, population growth and dwindling water levels exacerbate the problems; augmentation of the Colorado River will likely be required and is being planned. Because many state’s water rights don’t take into account this fluctuation, and are generally outdated, the over allocation of Colorado River water will continue to have negative impacts, economically and environmentally. Another issue for Arizonans who rely on CAP water is energy. CAP water travels 336 miles across the state, originating in Lake Havasu and ending in southwest Tucson. Transporting CAP water thorough its conveyance system requires a tremendous amount of energy—energy that is currently being supplied by coal fired plants. The largest one—rated the 8th dirtiest coal plant in the U.S. by the EPA—is The Navajo Generating Station near Page, AZ. This coal-fired power station is responsible for providing 90% of the needed energy to transport CAP water across the state, and also produces electricity for customers in Arizona, Nevada, and California markets. In 2012, the EPA finalized goals for Arizona to reduce emissions by 2023. The state of Arizona objects to these EPA regulations, and is in fact suing over the potential economic consequences of adhering to emissions regulations. The Arizona State Attorney’s Office cites uncertainty for coal plant owners, complexity of timing, unfair implementation rules, loss of jobs, utility cost increases, and denies that nitrogen oxides and other pollutants affect air quality, visibility or health in a significant way. Several government agencies and environmental groups have cited a “visibility impairment” at the Grand Canyon, and maintain that the haze is attributable to the regional coal plant. The bottom line, however, is that the state government has made clear environmental concerns should take a back seat to economic concerns and the issue is currently in the appeals process. Notwithstanding the State of Arizona’s objections, Tucson Water has anticipated the increase of CAP rates, not only because of the emissions issue, but because of the happenings in the energy market. CAWCD is actually part owner of the Navajo Generating Station power plant, and energy sales from the plant contribute a large portion of CAP’s revenue portfolio. Unfortunately for CAWCD’s pocketbook, natural gas has become cheaper than coal-based energy, leading to a decreasing customer base. CAP’s revenue projections for the 2012-2013 fiscal year were less than anticipated, leading to an estimated debt of $25 million yearly. CAP is in mitigation about what to do about 2014 rates as well as its current and ongoing deficit. The CAP predicament affects Arizona and Tucson in major ways due its heavy reliance on CAP water. Tucson uses of nearly all of its CAP allotment and in 2011 CAP water accounted for approximately 60% of Tucson’s overall water production. That number increased to 75% in 2012-2013. CAP water, while having many environmental concerns of its own, has benefitted Tucson greatly by reducing dependence on the existing groundwater, which has dwindled to dangerously low levels. CAP has also actively improved groundwater levels through the recharge process. In the next chapter, we’ll talk about the more than half dozen recharge sites around Arizona that serve to store water and recharge our groundwater supply. How much excitement is there (both generally and within the LC) to accomplish this goal? How important/tied to our mission is the goal? Are there concrete achievements quickly and easily achievable within the goal? How winnable is the goal overall? With that said, here are the areas of focus of 2013! Input on Sustainable Zoning Code and Animal Husbandry – The City of Tucson is updating their zoning code to incorporate some sustainable measures, including many food-related provisions. Our members and associates (such as Merrill Eisenberg and Jaime de Zubeldia, to name a few) have had inp,ut in this process, particularly on the issue of raising animals within city limits. The updates would loosen up restrictions and allow more animal husbandry within City Limits. We may, however, run into some opposition from residents concerend about noise, for example. If and when the City calls a public hearing on the issue, we want supporters to fill the room. Check out the Tucson CLUCKS Facebook page, or just stay tuned with us and we’ll let you know when the next public hearing is. Work with City of Tucson as “Convener” on STAR Goal – We were asked by the City of Tucson’s Office of Conservation and Sustainable Development if we would be the lead on the Food Access and Nutrition portion of STAR Communities–a rating system by which communities can assess their sustainability. On May 29, we presented to the national community utilizing this system (about 30 communities across the U.S. and Canada), and highlighted a small portion of the work we’ve done in this community over the past 3 years. Our future challenges within this goal will be to think of ways to push ourselves and to push the City of Tucson to continue this type of work. Finalize, upload to the web, and otherwise distribute fact sheets on food policies – A number of fact sheets were developed under the CPPW grant (which ended spring 2012) by the policy team at the UofA (which helped start the food alliance). They are in varying states of “doneness.” We’ll soon by verifying the details of them, making any necessary changes, and sending them out for all to see. Report on Water and Its Role in Urban Ag – We have an intern from the College of Public Health who’s been learning everything she can about water in Tucson–where it comes from, how much it costs, how urban and rural water rates differ, etc. Her goal is to understand the role water can (and should) play in creating a more resilient and sustainable local food system. She’ll be reporting back to both the leadership council and the general membership in the form of various blog posts.